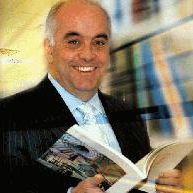 As Managing Partner of Parangon Partners, Luis brings in his unique experience in business management, focusing mainly on industry, energy and natural resources, in addition to the construction industry and professional services. His extensive career developed with leading national and international companies where he held senior positions as Managing Director, Chief Executive Officer, Chairman and Advisor to Boards of Directors. His broad experience in business management has been instrumental in making him an experienced consultant in corporate strategy whereby he has directed and advised on the acquisition, merger, restructuring and development of a number of companies.